Every starving artist knows that a healthy breakfast in the morning is key to getting the creative juices flowing for the day. Waterbury-area starving artists know that a quick stop into KC’s Bagels for a tasty breakfast sandwich is the perfect way to start the day. 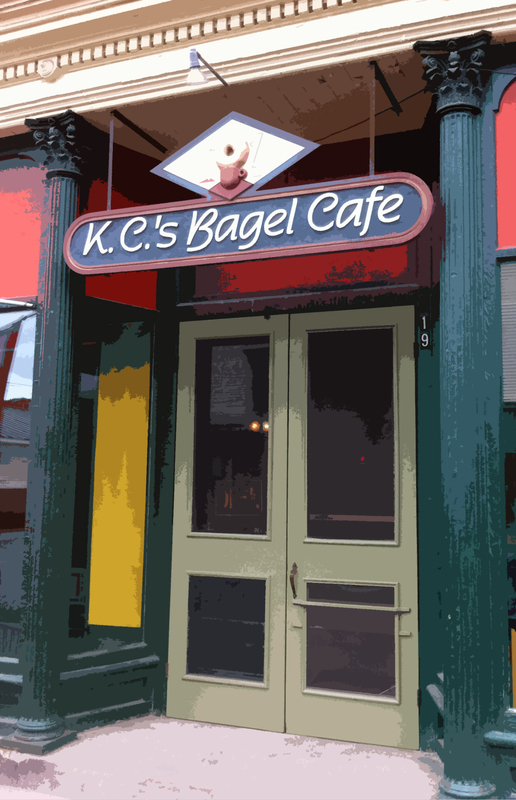 So naturally, the Stowe Street Arts Festival is delighted to have KC’s Bagels as one of our Community Sponsors for 2011! KC’s is conveniently located in downtown Waterbury at 17 Stowe Street. There’s almost always parking right there, the service is friendly and fast, there’s tons of room so if you aren’t on the go you can take a seat and have a relaxing meal, and most importantly, their bagels are de.lic.ious! Baked fresh daily, they have a great variety of bagel flavors (I can never decide which I like better: my guilty pleasure Chocolate Chip, Sundried Tomato, or the good ol’ stand by Everything,) as well as awesome homemade cream cheeses (which they sell by the tub just in case…) in flavors like Bacon-Horseradish and Light Raspberry. But if you need a little more sustenance, they also have fantastic sandwiches and wraps, and unlike those fast food places, KC’s serves their breakfast sandwiches all day. What’s that? Waterbury isn’t on your way to work in the morning? Well don’t you fret because KC’s delivers to locations around Montpelier and in the Mad River Valley including Hunger Mountain Coop, Capitol Grounds, Paradise Deli and the Warren Store. And even the kiddos can get their KC’s fix at Montpelier and U32 High Schools! 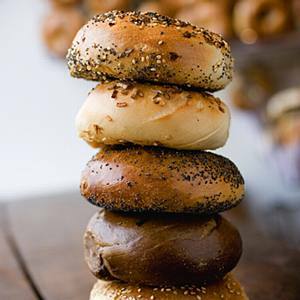 KC’s Bagels is open Monday – Friday, 6am-2pm, Saturday 7am-2pm and Sunday 7am – 1pm. If you want to get in touch with them, you can call them at (802) 244-1740 or simply swing by so you can start your day off right! This entry was tagged Community Sponsor, KC's bagels. Bookmark the permalink.